In September last year we had the wonderful opportunity to spend some time as visiting students in the Department of Environmental Science at Rhodes University, away from our home university in Erlangen, Germany. Within the first few days, our host where we stayed and the staff in the Environmental Science department alerted us to the ongoing drought and the dire predictions if water consumption was not reduced. Coming from Germany, where water supply is taken for granted, it was a new experience for us. We took it to heart and did our best to limit our water use. We also became interested in how citizens of the town were responding and coping, and never missed an opportunity to discuss such with the many different people whom we met during our three engaging weeks in Grahamstown. 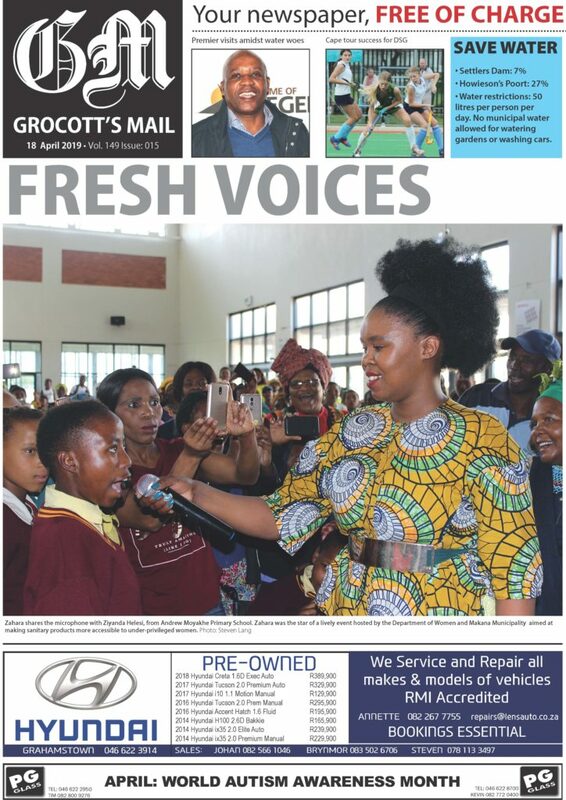 We also had an opportunity to visit Cape Town, where the international-headline catching, and recently ended drought, was equally severe to that in Grahamstown. What was very different however, immediately obvious to even casual visitors like ourselves, was the manner in which the entertainment sector in the two cities reacted to the drought. In Cape Town, most restaurants and bars had signs encouraging patrons to minimize water use from the taps, to flush the toilets only when necessary and some had even turned off the water and provided patrons with waterless hand sanitiser instead. No such initiatives were apparent in Grahamstown. Because of our interest, we made a deliberate plan to try to visit every coffee shop, restaurant and bar in the commercial area of Grahamstown and observe if they had emulated Cape Town in any way. We did not find even one coffee shop, restaurant or bar that had notices urging patrons to limit their water use. None had notices about limiting the flushing of toilets, and none had provided hand sanitiser to replace the washing of hands. Overall, it seemed that the food sector in Grahamstown was unaware about the drought, or if they were, felt there was no role they could play. It was a very stark contrast to how the same sector in Cape Town had responded. 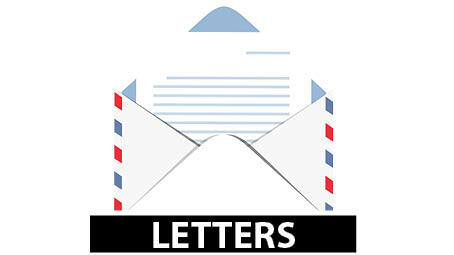 We don’t know why this difference exists, but the drought is still dire in Grahamstown, and so there is a greater need for action, not just in the food/restaurant sector, but by all citizens of Grahamstown, in their homes and in their businesses. Fortunately, we did find that in many homes, people had gone to great lengths to reduce their water use. Let us also not be complacent about water use, even when the drought breaks. The latest reports from the United Nations show that climate change is accelerating. Severe droughts will remain a common occurrence in the Eastern Cape and may even become more frequent. South Africa is already in the top 20 % of countries in the world when it comes to aridity and it is not going to change. It is therefore necessary that everyone in the country start to think more about water and how to save it and use it efficiently, not just in times of drought. 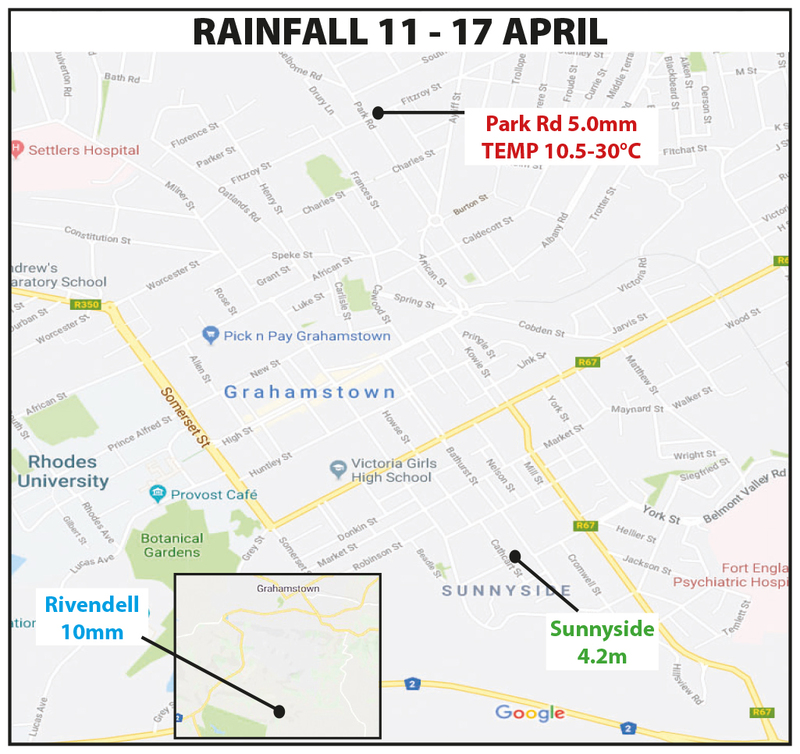 We hope that these observations will make some difference and prompt reflection, and at the same time, we hope that Grahamstown and its surrounds will soon enjoy long, soaking rains to refill the depleted dams. In the meantime, our experiences in Grahamstown have changed our own attitudes and practices towards water even back in Germany. Every drop counts!